Two events should have had a big impact on the EUR/USD currency pair on Wednesday — the monetary policy meeting of the European Central Bank (event A on the chart) and the monetary policy minutes of the Federal Open Market Committee. Yet surprisingly, the pair settled a little higher despite both events turning out slightly negative for it. 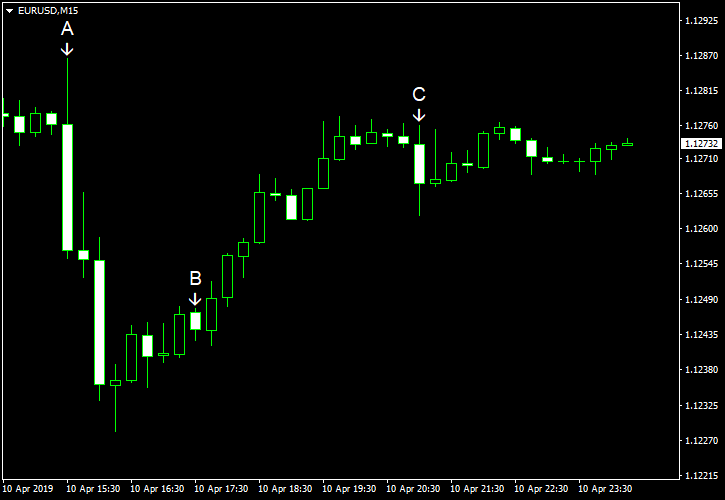 While EUR/USD was falling after each of the events, the pair was rebounding quickly after dipping.